Shredsec offers a one off shredding service that does not require pre-booking or a contract arrangement. You simply contact us by phone or email and nominate a time that would be acceptable for your material to be collected. There are not restrictions placed on the size of the collection and your will enjoy the same high standards of customer care as all our clients. We have used Shredsec’s on-demand shredding and were delighted with the speed and efficiency of their service. You can use our mobile shredding facilities or we can collect your confidential waste and shred it at our secure destruction facility for off site shredding. All our staff are CRB screened so you can be assured of the professionalism and security of our operation. 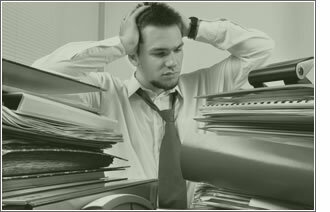 You do not need to spend lots of time removing staples from documents or separating papers from their files. Our sophisticated shredders destroy level arch files very quickly and decimate staples or paper clips. We aim to make the entire shredding process as easy as possible for you and so all you have to do is separate the documents for one-off shredding into bins or bags (which we can supply, if required). We will collect them at a time that is convenient with you and shred them. After shredding has taken place, we will provide you with a Certificate of Destruction, if requested, and dispatch the waste paper to be recycled into new paper products. Shredsec’s one off shredding services can be used by individuals as well as organisations. Our home shredding service is frequently used by people who work at home or when moving house. We also handle shredding in the cases of bereavement where records have been left that are of a sensitive nature. Contact Shredsec to arrange your on-demand shredding service or to book a collection.